The Federal Transit Administration opened up $85 million in competitive grant funds through its Low or No Emission (Low-No) Bus Program on March 18, while at the same time wrapping up its certification of State Safety Oversight or SSO programs for 31 rail transit systems in 30 states. 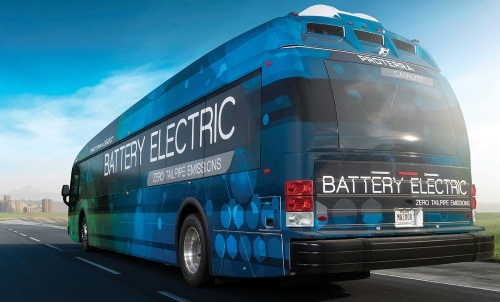 The FTA said in a statement that its “Low-No” program helps public transit agencies, state departments of transportation, and native American tribes purchase or lease low- or no-emission vehicles, including related equipment or facilities. The agency added that applications for the $85 million in grants available via its Notice of Funding Opportunity are due by May 14. The FTA also noted in a statement that it has now successfully certified all 31 rail transit system SSO programs well-ahead of a mandated April 15 compliance deadline, finalizing checks of the last outstanding program on March 18; the Washington Metrorail Safety Commission’s program for the Washington Metropolitan Area Transit Authority Metrorail subway system. FTA added in a statement that it also certified WMSC to once again perform “direct safety oversight” of WMATA Metrorail, allowing the agency to free up some $48.5 million in grant funding withheld for nearly three years. FTA noted it assumed direct safety oversight of Metrorail in October of 2016 following several accidents and operational failures that sometimes killed riders or maintenance workers, including a January 2016 event in which a rider suffocated when a train was stuck in a smoke-filled tunnel as employees misdirected vent fans to pull smoke into rather than out of the train’s location. Since then, FTA said it verified Metrorail fully implemented 188 systemic safety improvements while making progress on “dozens of others,” allowing it to transfer safety oversight of the subway system back to WMSC.